Can you Sell an Inherited House Before Probate in Cincinnati? Find out whether you can or can't sell an inherited house before probate is finalized in OH. There are numerous residents of Cincinnati who are looking for an information regarding in selling an inherited house before probate. Selling an inherited house is actually hard and tough, aside from thinking that it is a sentimental value because it was from the parents, ancient relatives such as grandfathers or grandmothers, or from very close friends. Additionally, it was inherited by someone through a will or being named as owner in the documents. But how about when you wanted to sell it because it is too old or you’d rather choose to sell it and get a new home? But the question is, how? Absolutely, it would take long process in writing or create new documents about it or the inherited house is surely so difficult to sell. So, the question is, “can you sell an inherited house before probate?”. Well, we will find it out why…. The person who has inherited a home will most likely go through a probate process – in other words, there might be a legal process. You cannot set aside this, or to break this kind of rule. The legal process is another way of preparing or creating new documents with a proper step. Thus, one of the reasons why inherited houses are difficult to sell is because it is prohibited in most countries. But don’t worry, there is an alternative process for that and this what we called “Muniment of Tile.” – What is Muniment of Tile? However, the Muniment of Tile validated the will in most country and actually, it also needs an approval in government. Another thing, if you are still thinking because you need to sell house fast then we have this another called “Affidavit of Heirship”. This can only be done if the property is really your own property. When it is done, the document will be filed in the document in your particular country where your home is located. But how about when you want to sell your house fast? 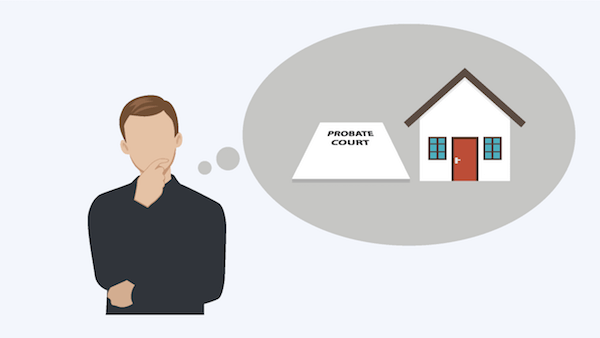 We all know that probate process takes a long time, so probably, you might take days or months in this process rather than selling your home. But when you want a quick process, try to ask yourself this question – can you sell an inherited house while going through in probate process? To be honest, there is no specific answer to this, however, most country allowing this while in the process and some are not. For example, the Texas could actually sell the inherited property while on the process, so basically, the right answer for this question is ‘it is a case to case basis’ – it is according in your hometown or in your country. A property must be examined or being evaluated. Some realtor will recommend someone for this. There’s some information that you need to answer to have the probate petition. It includes every detail of your property. If the process is completely organized then wait for the court approval. Additionally, the courts also have specific rules that need to follow. The homebuyers have the rights to know if the house is on sale and the home sellers should sell their houses if the court confirmed. The court confirmation is according to the probate case – by the approval of the court you can sell your house fast with cash now. A newspaper is another way to informed the public about the recent news or if there’s any other information that needs the public to be informed about it. So, if the court already confirmed then your house is on sale. So, to informed the public about it, you can use advertisement in some local newspaper in your hometown. Well, that could be easy to gain homebuyers. Believe it or not being an executor does not mean you owned the whole property – then what is the role of an executor? If this is the case, you need to ask first the inheritors of that property. To put it simply, in selling a home or property, you needed the inheritors’ approval. But in OH, they would allow the executor to have the decision. This process will make the process lot easier, actually, it gives freedom to the executor. Sell Your House to a Cincinnati Cash Home Buying Company? The easier way is you can sell your inherited home to a cash house buying company – in this process, you don’t need to feel a bit worry about breakages or damages of the home. You can sell it instantly in a cash home buying company, another good news is you can have the money within 24 hours. By I buy Houses, it simply offers you a cash and you can sell your home in just a week! The great news for you is we buy houses in Cincinnati – whether it is inherited or not, we will still accept it! It’s our pleasure to serve you with no charge and no fees, so you don’t need to worry! So, what are you waiting for? Contact us at 513-802-9870 or kindly fill out the below to get started. Can you sell an inherited house before probate is finalized in Cincinnati?